What is Health Services Administration (HSA)? Health Services Administration is a burgeoning field in which many career opportunities abound. As the largest industry in the United States, the attraction to obtaining a degree in the health care field is continually on the rise as students realize the potential for advancement. Health Care Administration is a broad discipline that is also referred to variously as health management, healthcare management, health systems management, health care systems management, and medical and health services management. In a general sense, the field relates to leadership, management, and administration of hospitals, hospital networks, health care systems, and public health systems. Health care administrators are considered health care professionals. Within the Health Services Administration fields, there are two types of administrators – generalists and specialists. Generalists are usually responsible for managing or helping to manage an entire health care facility. Specialists are usually responsible for coordinating the operations of a specific department within a health care facility or company related to health care, such as policy analysis, finance, accounting, budgeting, human resources, or marketing. If you are a person who is motivated by a strong social mission to help improve life for people every single day, there are enormous benefits to obtaining your degree in Health Services Administration, not the least of which is strong earning potential. Additionally, a career in Health Services Administration offers enormous flexibility, with a wide range of areas to enter and the possibility to explore a diverse career as you climb the ladder through gained experience and expertise. Possessing leadership and management potential is an excellent barometer of how you can fit into this challenging profession. With a Bachelors of Science degree in Healthcare Administration you can enter the field with a variety of venue choices. As the standard credential for a more expanded avocation, obtaining your Masters Degree is the way to find even more opportunity in the workforce. 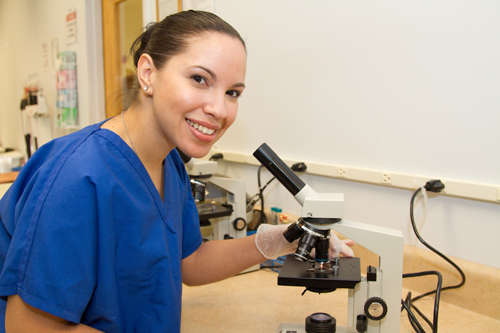 At Florida National University (FNU), we believe that a career in Health Services Administration provides the individual with an enormous opportunity to impact the healthcare sector through a solid education that provides a base for work in hospitals and other healthcare systems, as well as in other related areas. As you move forward in your career, you can work in two broad areas: as a general health services administrator, in which you will work on the management an entire facility, or as specialist health services administrator, in which you will gain and utilize in-depth knowledge of managing operations for specific departments. As students progress through our Bachelors of Science degree program, they realize that the benefits of a HSA Degree are vast. The skills gained from our in-depth program also allow for a transfer of your skill set across a range of positions that exist in non-health sector areas where health science knowledge is applicable and necessary. This includes banks, law firms, and other like agencies. The opportunity to advance your career, taking on different roles as you progress in experience is also available, including the chance to become a specialist in your area of choice. With consistent training available for learning new skills, be it through going on with your schooling to earn a Masters Degree, or through the possibility of on-site training from the organization you work with after your FNU graduation, you can travel a road of never-ending self-improvement and professional development. A healthcare executive is an extremely respected member of the community. In this regard, your position brings a value that cannot be measured by income as you serve your local population. From here you have the exciting chance to study electives that relate to where your interest in HSA lies. These can include Health Information Systems, Ethics of Caring for the Elderly, Supervisory Skills, Entrepreneurship, Negotiation and Conflict Resolution, and Legal Aspects and Legislation in Health Care. An education in Health Services Administration offers you a wealth of opportunities in a variety of fields. Contact our advisors at FNU today to explore your future in this exciting and lucrative career!